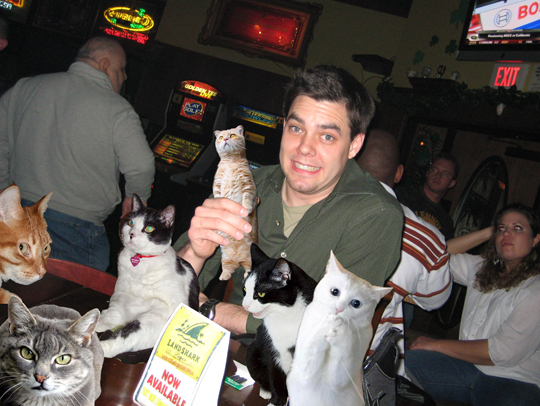 This guy has more Boozecats than he knows what to do with, and he apparently refers to them as Landsharks. This is a pretty accurate comparison. Sharks and Boozecats have had a symbiotic relationship since the Earth was created. The sharks protect the Boozecats from the water while the Boozecats protect the sharks from wolves and dynamite and stuff.